San Antonio, Texas is a lively place to visit, but it is an even better place to call home. The city is filled with unique attractions that are visited daily by both tourists and locals. The best way to experience everything that the city has to offer is by taking advantage of one of the many great San Antonio apartment rentals. Once you are all settled in, make sure that you visit the following five places. 1.) The Alamo – There is a reason that the Mission San Antonio de Valero, better known as The Alamo, is the most frequented location in Texas. The historical value of this location is beyond compare, and it presents the perfect educational outing for families. If you wish to live near The Alamo, you should make sure to find apartments by zip code, as San Antonio is a very large city. 2.) Market Square – Locals love to take in the largest Mexican marketplace that can found outside of Mexico. If you are looking for authentic crafts, clothing and food, the Market Square, also known as El Mercado, is the perfect place to shop. Many locals enjoy the Market Square so much that they will only consider San Antonio apartment rentals that are in the same general area. 3.) Six Flags Fiesta Texas – Those who enjoy theme parks are likely to invest in a season pass to the Six Flags Fiesta Texas. The theme park also offers a great way to beat the heat, as part of the attraction is a water park. If riding roller coasters is on your list of favorite things, then you will definitely want to look at apartments in San Antonio TX that provide easy access to Six Flags. 4.) San Antonio Zoo – The experience at the San Antonio Zoo is very unique, and it has become a favorite destination for families. In order to encourage learning while removing some of the stress that parents feel during a zoo trip, San Antonio’s zoo has an interactive playscape for kids under the age of five. There are several apartments in San Antonio TX that are located nearby, making it easy to visit the zoo on a regular basis. 5.) Sea World San Antonio – Individuals and families will be charmed by this combination of a marine life habitat and a theme park. If you have an interest in studying the habits of dolphins, penguins and so much more, Sea World is the perfect place to visit on a regular basis. As with the other highlights, you should find apartments by zip code if this is the main attraction that you wish to live near. Lincoln Property Company proudly manages 19 communities in the San Antonio area ranging from new construction properties to comfortable, established communities. 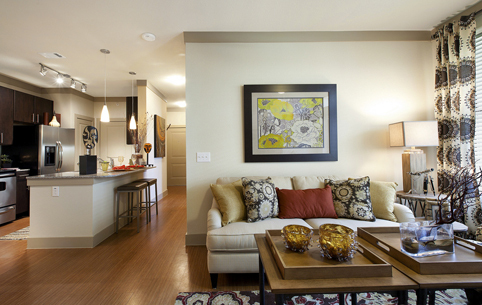 Click here to learn more about these different apartment lifestyle offerings.